The client wanted a very special cake for their 25th wedding anniversary party. In consultation with the client, they advised they would be celebrating their anniversary by going on a Caribbean cruise. 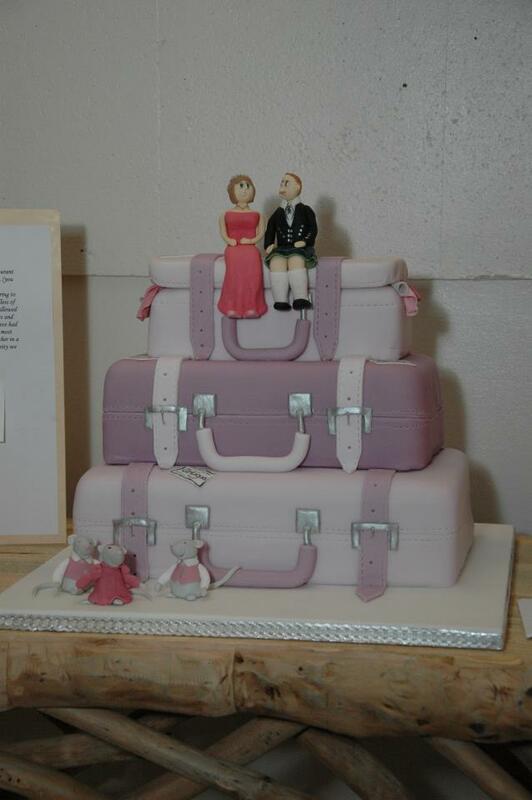 I discussed this further and it was agreed that a multi-tier suitcase cake be made. They also wanted a specific cake-topper to match their clothing for the anniversary party in which over 200 people were going to attend. The Caribbean cruise went to different islands – so these were included on the cake. The husband was going to wear a Kilt (blackwatch tartan), so it was agreed that two figurines would be made to match their dress. Time was spent on the “stitching feature” of the luggage tags, etc. Photographs of the couple were received, and the design was made. The couple said it was a “perfect match” and were so happy with the final cake. The client was completely satisfied – in fact so many of the 200+ people that attended said it was the best cake design they had ever seen! 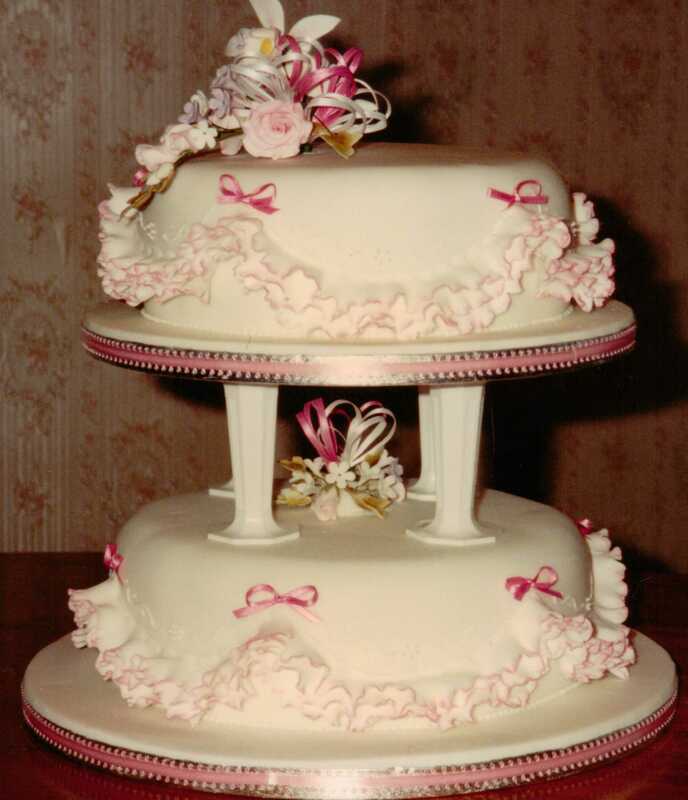 I received a call two days before a wedding from a distraught mother of the bride asking if I could “do something” with her daughter’s wedding cake which had been made by a friend of a friend and she was not happy with the cake. Because of the situation, as you can see from this photograph, she was happy for me to do whatever I could in the time. 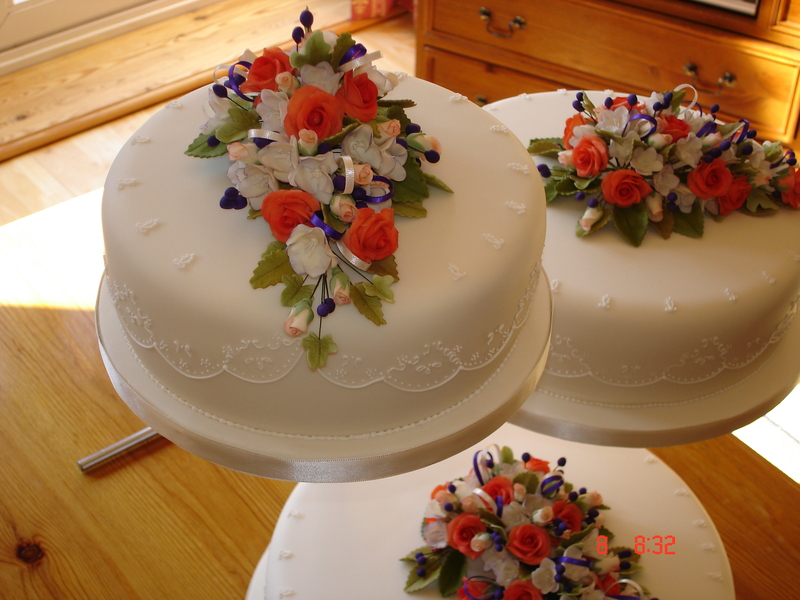 I stripped back all the icing and marzipan, levelled the fruit cake, re-marzipan and iced then used a few flowers, which I already had made along with adding side decoration to finish as you can see from the photographs below. As you can imagine the original cake was not going to be put on show, but after the remodelling she was only to happy to put in on display. 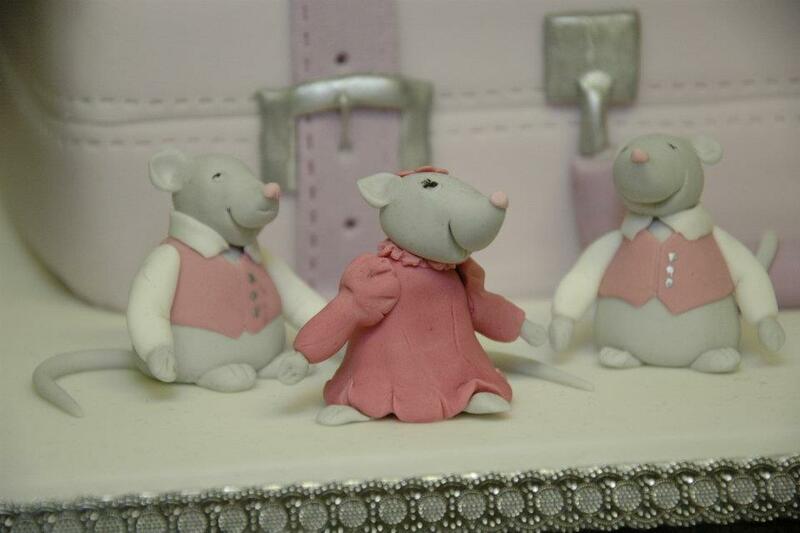 The bride requested that the cake have a design which included part of the detail on the wedding dress. 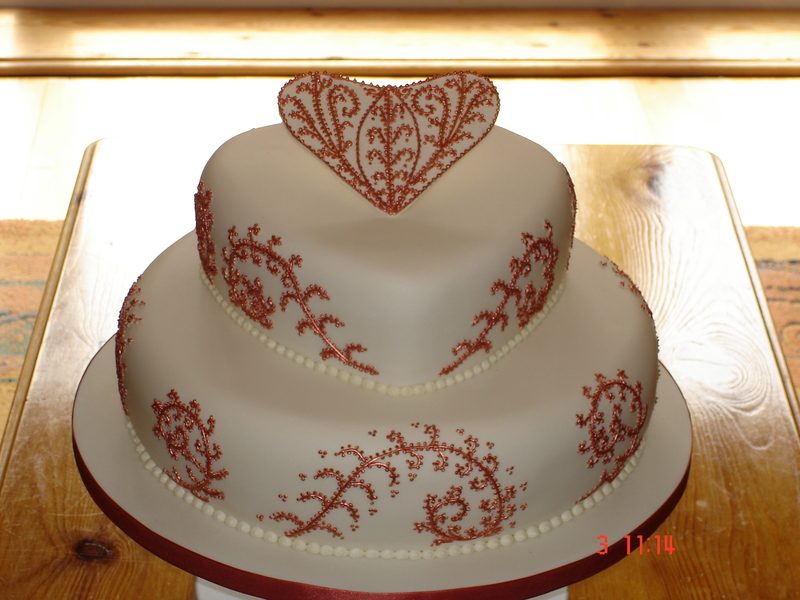 The heart shaped buckle was to be featured on the cake and just the scroll part of the detail on the dress. “It was just how I pictured it” was the bride’s response. 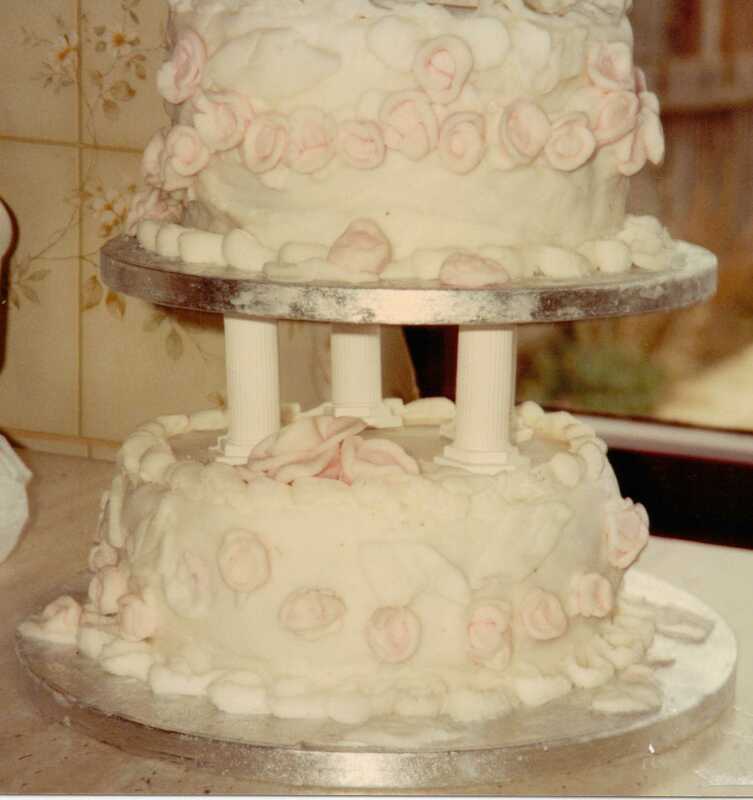 A three tier wedding cake with delicate side icing and sugar flowers was to be the feature including the bride’s favourite flowers. All three tiers were fruit based, finished with sugar paste icing and the sugar flowers reflected the bride’s favourite flower and colour. Notice the intricate bouquet of delicately handmade sugar flowers and the little lace detail on top of the cake were individually made. The bride and groom were delighted with the final result. The request was to use an idea the bride had seen in a wedding magazine and adapt with necessary changes to make it uniquely her own. 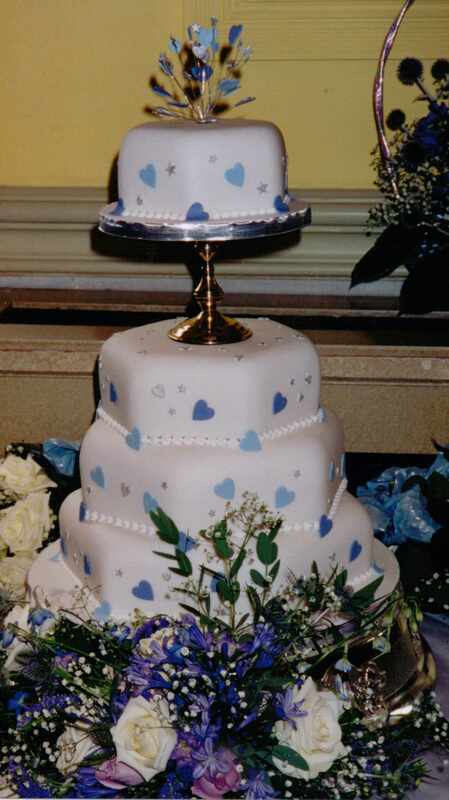 Four tier hexagonal fruit cake with the bottom three stacked and the top elevated with their own “candlestick” effect stand. Once more, another satisfied customer.